It is on again, the BBELS BUDDY BBQ, find your buddy, get your tickets and enjoy a yummy free meal at the Cafe. There is going to be the usual ‘live entertainment’, and by the sounds of the practicing, it is going to be wonderful. 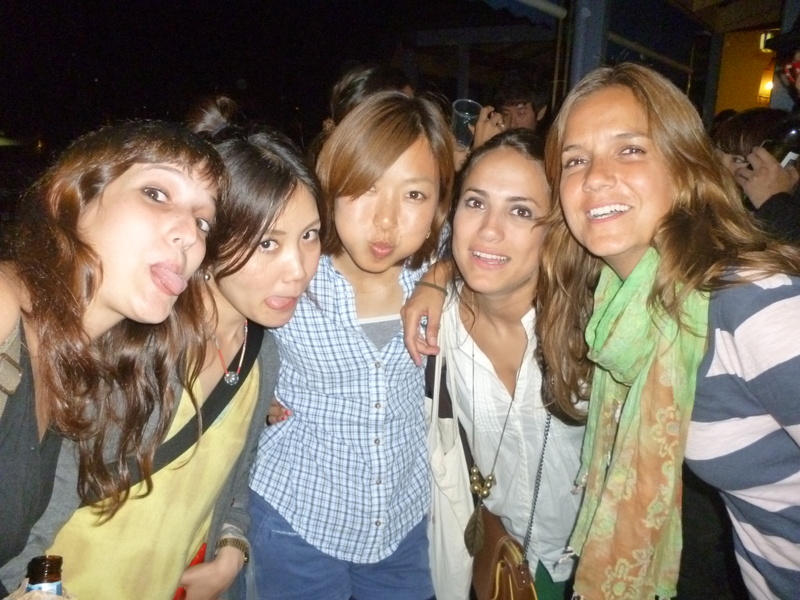 Students often say that the ‘Buddy BBQ’ is one of the things they enjoy most about their time in Byron Bay. Hello and a big BBELS welcome to all our new students from Switzerland, Japan, Taiwan, Brazil, Italy, France, Korea, Chile, Spain and Germany!!! Today the Cambridge students are doing their FCE, CAE and CPE speaking exams here at BBELS. We have our fingers crossed and wish you the best of luck, we are sure you are going to ace it. Our students at Byron Bay English Language School always enjoy a day at the Currumbin Wildlife Sanctuary. Students are able to see (and touch) kangaroos and wallabies and other native Australian wildlife in a friendly educational environment. On the day that the Upper-intermediate class visited the zoo this koala came face-to-face with its “human father”. Hung Yuan from Taiwan transformed himself before having his photo taken with this very cute koala. This week students in Caroline’s Intermediate class enjoyed an international lunch on the school’s sunny balcony. Students from Brazil, Spain, Japan, Switzerland, Taiwan, Estonia, and South Korea cooked dishes which represented typical dishes from their country. 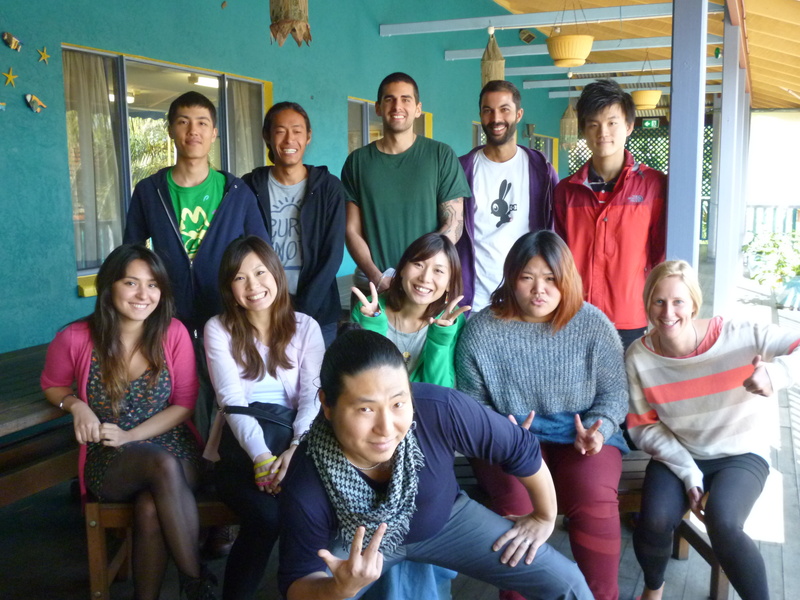 Students at Byron Bay English Language School always enjoy the opportunity to show-off their national cuisine in an English-only environment. Below is a photo of Jihoon with a bowl of fiery Korean food.